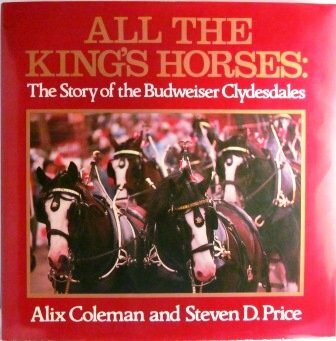 The Clydesdale is named after the region of its origin, Clydesdale in Scotland. 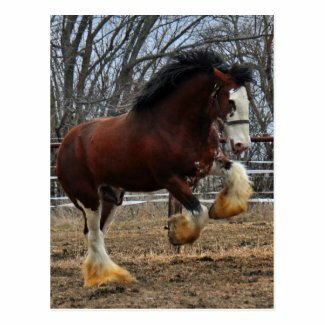 It is a tall breed but originally it was one of the smaller breeds of the draft horses, first recorded by the name of Clydesdale in 1826. 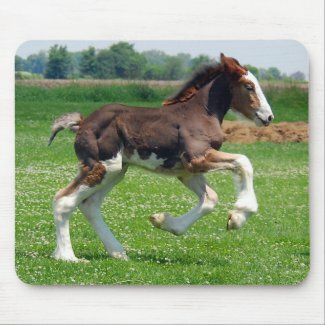 The breed was developped by crossbreeding the imported Flemish stallions to the local mares. Around 1970 the breed was close to extinction, but was rescued by the Rare Breeds Survival Trust, who thought the breed was too vulnerable to let it disappear. Today the breed is still not out of the danger zone, but has increased in population numbers. 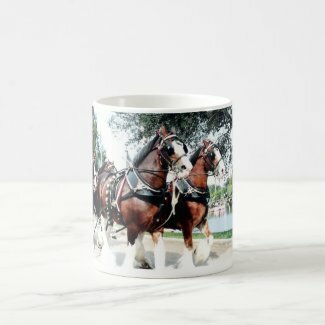 You can find more Clydesdale gifts on Zazzle.com and most gifts can either be customized or/and personalized.